RANCHO CORDOVA, Calif., March 6, 2019 /3BL Media/ – As a company with a mission to help people see, VSP Global created Eyes of Hope to increase access to eye care and eyewear for those who may be disadvantaged by income, distance or disaster. Today, VSP announces the completion of two large multi-year initiatives that have helped further that goal. 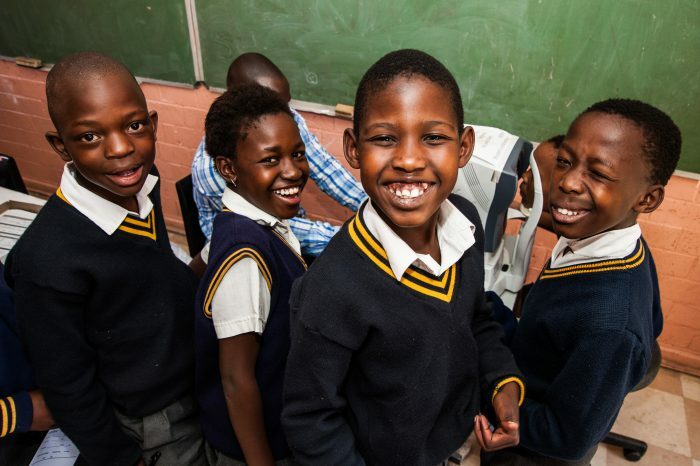 For a child to succeed in school, seeing clearly is a must, yet in 2014 just 20% of the children in South Africa who needed glasses could access them. To address this gap, WE SEE: A Child Eye Health Project was launched in Soweto, South Africa, a township known equally for its historical challenges and for its Nobel Prize-winning former residents Nelson Mandela and Archbishop Emeritus Desmond Tutu. VSP Global and Nike worked together to identify local partners, such as Just Eyewear and Mellins i.Style, and explore the development of a sustainable solution for the children of Soweto. Brien Holden Vision Institute joined to administer the project, working with local government agencies to implement vision screenings and eye health management into the local schools. The project included establishing an eye health clinic at the Nike Football Training Centre, specialized training for 26 school nurses, and 6 new doctors who specialized in pediatric optometry. In total, more than 95,000 children received access to vision care through local schools and more than 2,400 children received no-cost Nike Vision glasses. In similar fashion, in 2016, VSP Global and the U.S. Conference of Mayors teamed up to identify and reach out to communities across the United States. After more than two years of traveling across the country and partnering with local mayors, more than 12,000 people in need across 15 communities gained access to no-cost eye care and eyewear from a VSP network eye doctor. “These two initiatives are an outstanding example of how different sectors of society, from business, health and education to local government and non-profit organizations, can partner to help make seeing clearly a reality for those most in need,” said Dr. Alpert. VSP has committed to reaching another million people by 2020 and is engaging in other strategic partnerships to help achieve that goal, including its continued collaboration with VSP network doctors across the country. VSP Global® is a doctor-governed company that exists to create value for members and opportunities for VSP network doctors. Our industry-leading businesses include VSP® Vision Care, the only national not-for-profit vision benefits company, which provides access to eye care for 88 million members through a network of over 40,500 doctors worldwide; Marchon® Eyewear Inc., one of the world’s largest designers, manufacturers and distributors of high-quality eyewear and sunwear; VSP Optics, industry leaders in ophthalmic technology and lab services, providing custom lens solutions for the vision and lifestyle needs of patients; Eyefinity®, the industry leader in practice management and electronic health record software, and VSP Retail, which focuses on increasing access to eye care and eyewear through multiple channels. Together with VSP network doctors, VSP Global Eyes of Hope® has provided access to no-cost eye care and eyewear for more than 2 million people in need.